LONG ISLAND COLLEGE HOSPITAL will celebrate its 150th Anniversary Gala on October 4 at Steiner Studios. Reps from LICH say the entire medical staff will be feted on this momentous occasion, but in particular, CATHERINE GALLOGLY-SIMON, VP and chief nursing officer, will be honored. Gallogly-Simon began her nursing career as a staff nurse at LICH on the neuro-surgery unit more than 20 years ago. She will be the first RN to be honored at a LICH Ball. To celebrate the anniversary, a display of photos from LICH’s long life will be displayed in the lobby. One member of the 150-year anniversary committee is Brooklyn Heights resident Dr. MORRELL “MIKE” AVRAM, chief of nephrology, and patron of the newly renovated Avram Theater at the SUNY Stony Brook campus. Avram and his wife, Maria, were honored at the theater’s reopening ceremony on July 10, where he said, “The acoustics are incredibly clear — the best on East End. The new carpeting, stage, curtains, seats This is a true Lincoln Center in the Hamptons!” Moreover, Dr. Avram and his wife, were recently grand marshals of the Southampton Fourth of July parade The anniversary committee is completed by doctors FRANK E. LUCENTE, CIRIL GODEC, NIKI KANTROWITZ, TUCKER WOODS and JOHN MANI. EDDIE SARKIS’ BAND HEAD OVER HEELS has been a fixture in Bay Ridge and wider Brooklyn circles for 26 years, but their reach has never quite extended to, say, Kentucky, as it is about to. Sarkis thought is was a joke when someone called to ask if he would like to play at the PGA opening Ryder Cup Dinner Gala on Sept. 16, 17 and 18 in Louisville, Kentucky. Instead, it turned out that a few PGA reps had attended a wedding where Head Over Heels was the entertainment, and remembered the name when they needed a lively band. Only one band will play that night — HOH. Sarkis, the only Bay Ridge resident, is one of their four lead singers. He figures HOH plays about 50 weekends a year. They will next play on August 22 at The Greenhouse Café on 78th Street in Bay Ridge. For a complete schedule visit http://www.headoverheelsband.com/. “KEEP IT CLEAN” IS A SHORT FILM written, directed and edited by German transplant JEANETTE SENA MUHLMANN (who goes by Sena) about “not trashing our beaches.” It was shot in Coney Island one hot summer day with a cast of 120 people, actors, activists, choreographers and dancers from NYC, Brooklyn and elsewhere. Muhlmann produced the film with support from VIRGINIA BROOKS, professor emerita at the Brooklyn College Department of Film. Camera work was provided by Brooks’ students. The plot is a trashed and crowded beach with stressed beach guests. The scene is magically visited by a colorful healing tribe and without words, the whole beach experiences a transformation. The cast includes underground railroad activist JOY CHATEL, known for her successful fight to save her home at 227 Duffield St. The home was found to have connections to the pre-Civil War Underground Railroad, which helped Southern escaped slaves get to Canada, where the Fugitive Slave Laws didn’t apply. Also in the film is BROOKE FOX, singer, songwriter and co-director of “Williamsburg! The Musical.” Muhlmann is working to have the film shown at small festivals. A PROFESSOR OF STRUCTURAL DESIGN at Pratt Institute since 1990, HARRIET MARKIS was named chair of both the construction and facilities management departments at Pratt in June. 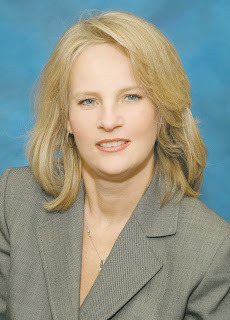 She has served as acting chair of both departments since 2007. Also in 1990, Markis co-founded structural engineering firm Dunne and Markis with fellow Pratt faculty member KATHLEEN DUNNE. The following students were recently awarded accounting degrees from the School of Management at Binghamton Univeristy, SUNY: RICK R. ZHOU (11201), CEION SCOTT (11203), OWEN NG (11206), CHENY NG (11214), JOSEPH J. FIORITO (11219), IRENE LI (11219), YONG YI LIN (11219), JACQUELINE LIU (11220), HENRY SHAW (11220), TERESA YUE (11220), BRYAN STEINHAUER (11238) and AMY SUN (11223). Master’s degrees in accounting were awarded to MARIA C. MOREL (11220), YULIA BARLAND (11223).